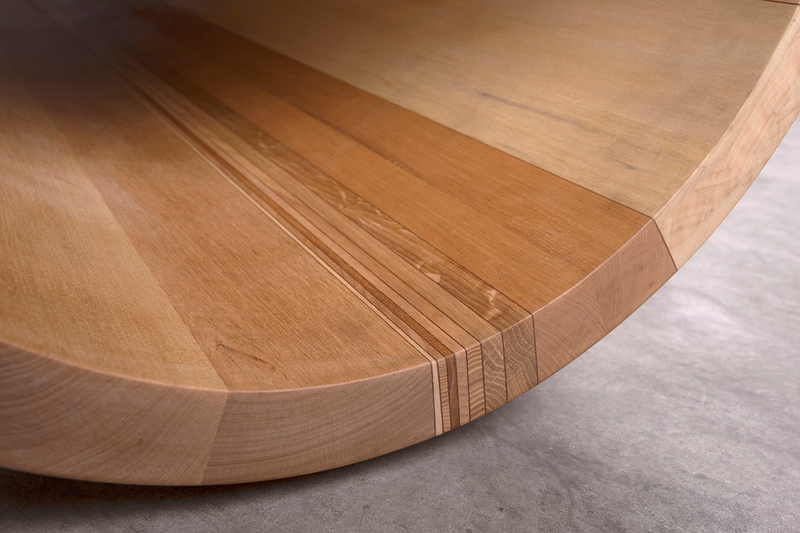 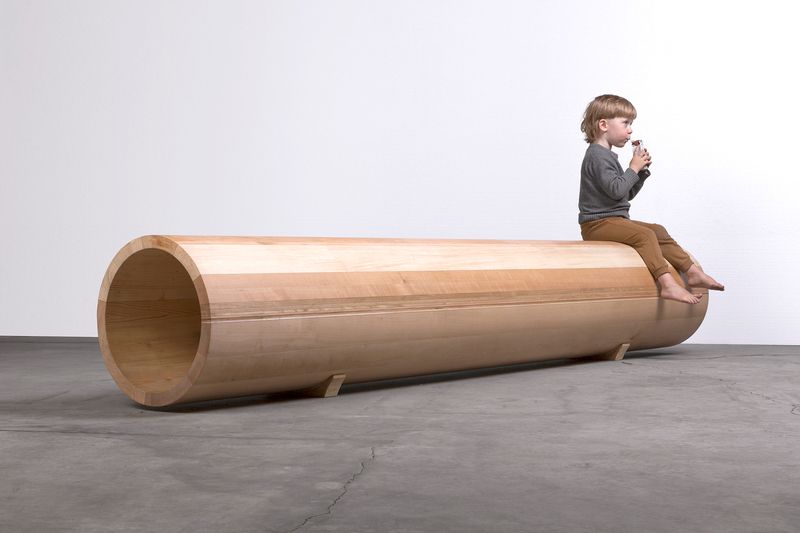 The Statistic Bench is made from thirteen different species of wood grown in Latvia according to their prevalence. 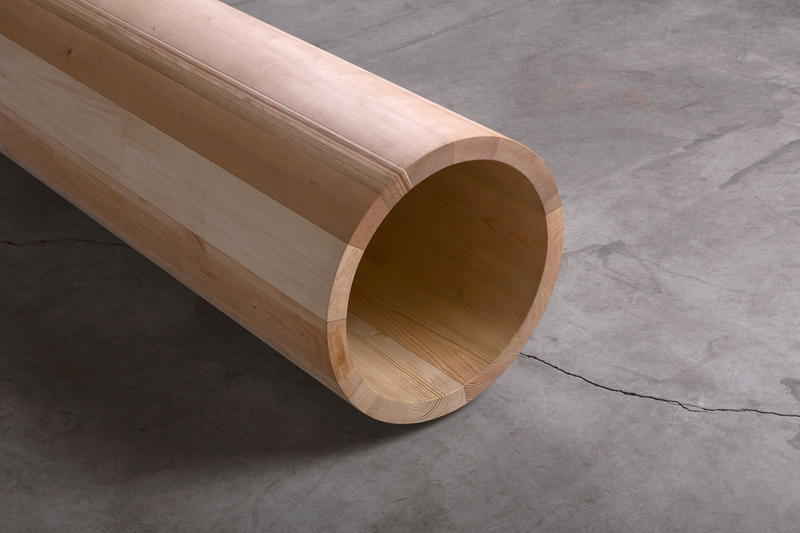 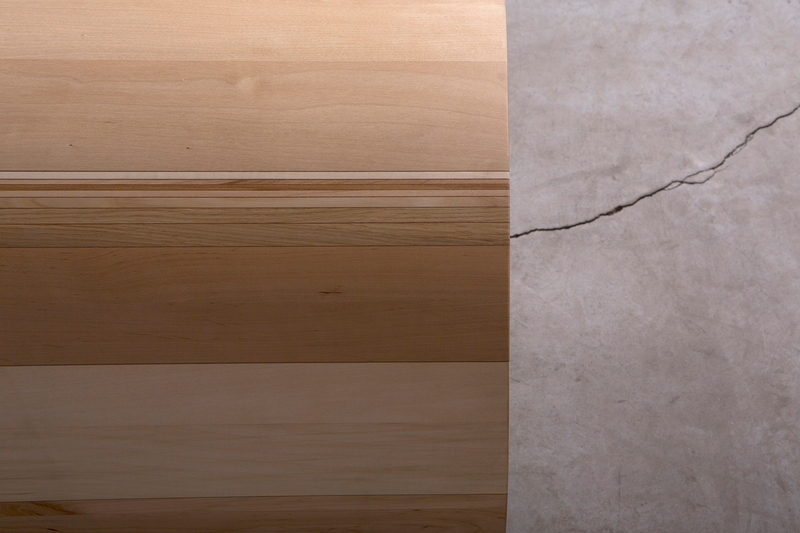 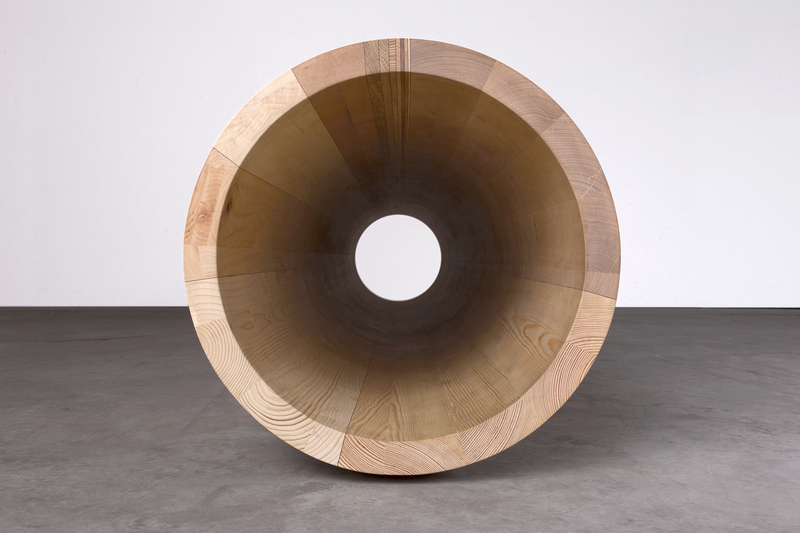 A hollow cylinder, the bench resembles at first glance a large log that has been left in the forest. 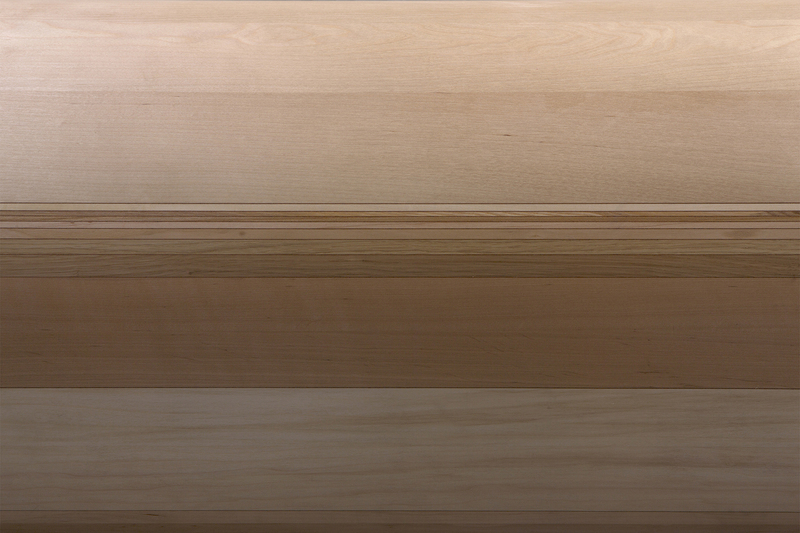 Some 54% of Latvia’s territory is covered with forests, it’s therefore unsurprising that Latvia’s largest export is wood. 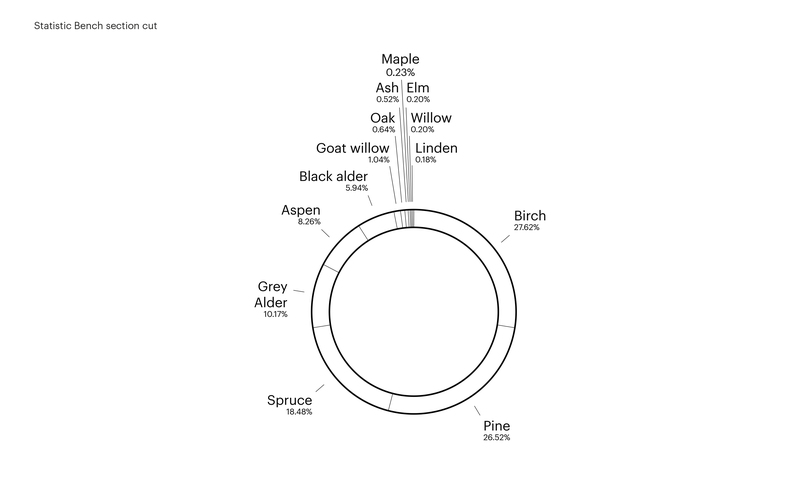 A closer inspection of the bench section reveals a pie chart-like visual of this natural resource. 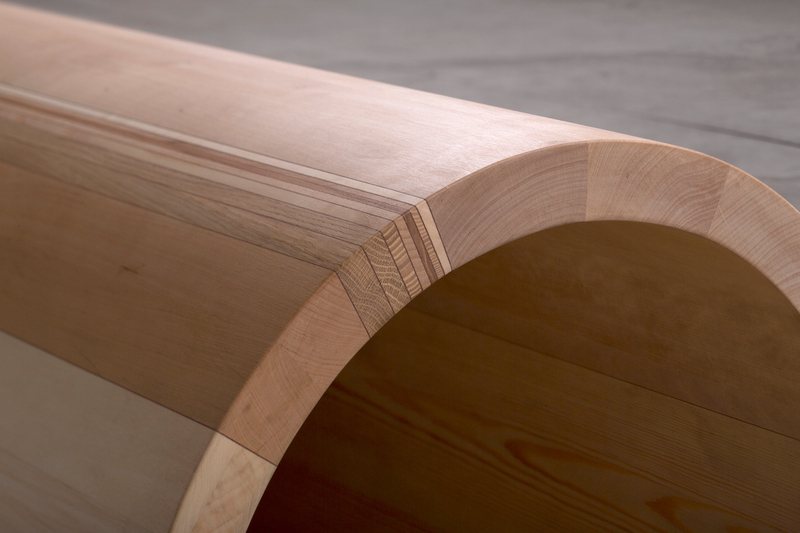 The Statistic Bench serves as seating and also as a visual tool to educate visitors about Latvia’s rich forests as well as the characteristic differences between indigenous varieties of Baltic wood. 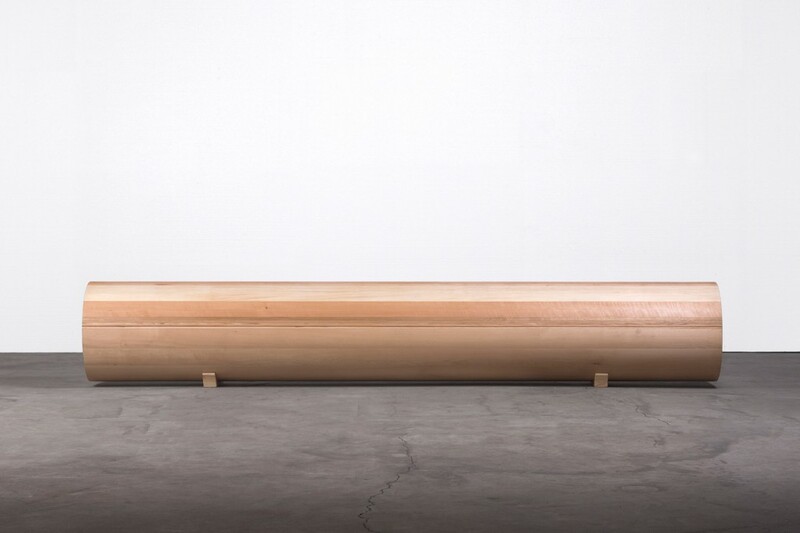 The Statistic Bench will be exhibited during London Design Biennale as part of the Latvian installation Matter to Matter by Arthur Analts.